Looking for a nice place to rent close to it all? Our 4 unit property with 2 bedroom and 1 bedroom units may be what you're looking for. Check out this property on Siskiyou st and apply or inquire on this site. A Great Apartment To Rent in Klamath Falls Oregon? Are you on the hunt for Klamath Falls apartments that fit what you’re looking for? Looking for Klamath Falls apartments near OIT and the Hospital? … you may have found it (but don’t wait too long. We often have a waiting list when our units open up). The Siskiyou Apartments are comfortable, clean, and close to lots of great things. Since 2004 we’ve owned and managed the Siskiyou Street Apartments. Are these apartments the biggest and newest you’ll find in town? Nope. They’re not. 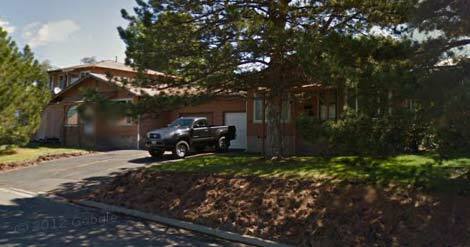 Are they these apartments in Klamath Falls the most expensive or the cheapest? Nope. Not sure you want either of those. The Siskiyou Street Apartments in klamath falls are simple, clean, comfortably sized, close to lots of things (Moore Park is a 10 min walk, parks close by, OIT and the Hospital a 3 min drive, the Pelecan Movie Theaters less than a mile away, and downtown is just a few mins away), and reasonable on the pocketbook. Since this is a small 4 unit property (which is a good thing, that means you’re not one of hundreds of tenants) we’re usually full. But, from time to time units do open up in our Klamath Falls apartments. If you want to see if units in this property are open the quickest way is to call Bryan, our property manager at (541) 885-2930 and ask him about the “Siskiyou Street Property” availability. If there aren’t any units open we can put you on the waiting list… or Bryan will help you find another apartment unit that fits what you’re looking for too. Either way Bryan will help you out. You won’t find granite countertops, fancy Kohler sink fixtures, or a swimming pool at these apartments. But that means you also won’t be paying higher rents because of those things you really don’t need. Our 2 Bedroom units include private garages, a private alleyway out back, washer / dryer, updated vinyl windows to keep your heating and power bills down, water / sewer is paid by us (saving you $30 – $50/mo), ceiling fans for those hot summer days, gas heat, free trash service, and more. Basically, these units are perfect for the sensible person who just wants a nice clean, efficient, quiet, and affordable apartment close to lots of things… without paying for unnecessary features you don’t need. So, ready to check and see what’s available? Awesome. Either call our property manager, Bryan at (541) 885-2930 and let him know you’re looking at the property on Siskiyou Street… or go ahead and apply below. So, you can stop searching for other Klamath Falls Apartments and apply here if there’s units available. *NOTE: If units are available we’ll put a red “Units Available” tag at the top of this site. If that isn’t there, it doesn’t mean you can’t apply. Applying will get you early on the waiting list. If the “Units Available” tag is there… awesome! Apply today!